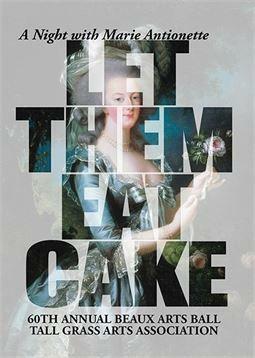 Park Forest, IL—(ENEWSPF)—Tall Grass Arts Association will host its 60th Annual Beaux Arts Ball and fundraiser ‘A Night with Marie Antoinette: Let Them Eat Cake’ on Saturday, March 11 at Ravisloe Country Club in Homewood. Proceeds will benefit the Tall Grass Gallery and School. The event’s activities will include a silent auction, live auction, dinner and dancing. This year’s Honoree is Park Forest resident Janet Muchnik, a well-known champion of the arts and culture. Additional information about the Ball, including how you can purchase tickets, can be found in the ‘Arts & Entertainment’ section. Park Forest residents will have the opportunity to learn about the candidates running for School Board Districts 227, 201U, 163 & 162 at the League of Women Voters – Park Forest Area forum on Saturday, February 11, from 11:00 a.m. to 3:00 p.m. at Park Forest Village Hall, 350 Victory Drive, in DownTown Park Forest. The program is open to the public. Additional information can be found in the ‘This & That’ section. The Village of Park Forest Board is scheduled to meet on Monday, February 6 at 7 p.m. The meeting will be held at Village Hall, 350 Victory Drive. Residents are encouraged to attend. Board meetings air live on cable access channels (Channel 4 for Comcast subscribers and Channel 99 for AT&T subscribers). On Sunday, February 12 at 3 p.m., Ladysmith Black Mambazo will perform at Freedom Hall. For over 50 years, South Africa’s Ladysmith Black Mambazo has warmed the hearts of audiences worldwide with their uplifting vocal harmonies, signature dance moves and charming onstage banter. With a deep respect for both their cultural and personal history, Ladysmith Black Mambazo is ever-evolving. Over the years, the original members have welcomed a younger generation in their mission, passing along the tradition of storytelling and spreading their message of peace, love, and harmony to millions. The newer members have infused the group with their youthful energy and the promise of a bright future. Ladysmith Black Mambazo founder Joseph Shabalala looks to these young men to carry on his dream to “keep South Africa alive in people’s hearts” for years to come. “Mr. Shabalala, singing above the basses, has a sweet, hushed tenor that whispers and swoops and quivers, gentle yet fervent. In the formality of Carnegie Hall, the songs came across not as jovial workers’ entertainment, but as something more somber: music that had survived sorrows to find benedictions in the aftermath.” — New York Times. Read more about Ladysmith Black Mambazo and view videos. Tickets are $35. Tickets can be purchased online at: [email protected]. For additional information, call 708-747-0580 or visit www.freedomhall.org. Sunday, February 5 at 1 p.m. — Valentine’s Day Service Project — Join us as we support the JourneyCare Organization. Drop in to create a special Valentine’s Day card. Sunday, February 5 at 3 p.m. – Author Book Talk — Join author and award-winning reporter for The New York Times, The Chicago Tribune, and The Washington Post John W. Fountain. He will share his journey of faith, hope, and clarity. Monday, February 6 at 11 a.m. – Sunrise Story Time — Jump start your morning with a series of stories that are sure to get you moving. For ages 12 and under. Monday, February 6 at 3:30 p.m. – Black History Month Movie Marathon — Celebrate Black History Month with three films: “Red Tails”, “Race”, and “the Great Debaters”. Monday, February 6 at 3:30 p.m. – Comic Creation — Be inspired to become a graphic novelist/comic creator! Each week explore ways to create comic strips, books, graphic and more. Monday, February 6 at 6:30 p.m. – Family Movie Night — Now Showing: ‘Nine Lives’ rated: PG. Monday, February 6 at 7 p.m. – Mindfulness Mondays — Come join us as we begin each Mindfulness Monday with a relaxing breathing technique followed by a short guided meditation. Then center yourself through the practice of mindfulness (being present in the moment) by participating in one of our creative art-form projects. Tuesday, February 7 at 3:30 p.m. – Art Studio — It’s time to BE CREATIVE! Each week we will explore different concepts of art. Materials will be provided. While supplies last. For ages 12 and under. Tuesday, February 7 at 4 p.m. – Color-Rama Coloring Circle — Relax a bit and take a load off before starting your homework. Learn different media of art and show your creativity with other teens! Tuesday, February at 7 p.m. – Pajama Story Time — Share special moments with your child through stories, crafts, and more. Wear your pj’s and wind down from a busy day. For ages 12 and under. Wednesday, February 8 at 11 a.m. – Lap Sit Story Time — Its Lap Sit Story Time! Babies and their parents or caregivers are invited to read, sing and grow in this weekly story time. This program is geared toward babies 0 – 36 months with an accompanying adult. This is the perfect time for families to bond with their child/children. Wednesday, February 8 at 3:30 p.m. – Color Me Happy Circle (for kids) — Travel to a world of relaxation for kids. Lose yourself in patterns, curved flowers or even runaway stems. Color yourself Happy in our kids’ coloring circle. For ages 12 and under. Wednesday, February 8 at 4 p.m. – Color Me Happy Circle — Our coloring circle is the perfect way to step back from the stress of everyday life and enjoy some relaxation! All supplies will be provided. Wednesday, February 8 at 6:30 p.m. – Movie Night for Adults — “The Light Between Oceans” Tom is a World War I veteran who maintains a lighthouse off the shore of Australia with his wife Isabel, a woman desperate to have a baby. Her prayers are answered when an infant washes up on shore in a rowboat. Tom thinks they should notify the authorities but ultimately gives in to Isabel’s wish to keep the girl. Fate strikes again when the couple meet the child’s biological mother on the mainland. Now, Tom and Isabel must make a decision that will forever affect the lives of four people. Wednesday, February 8 at 6:30 p.m. – Writers’ Workshop — Want to improve your skills as a writer? Interested in sharing your ideas or written work with others? Come to the Park Forest Library and join other creators in our bi-monthly writers’ group, led by James Pressler, for all your writing wishes. Writers of all skill levels are welcomed. Thursday, February 9 at 20 a.m. – Toddler Art — Bring your imagination, creativity, and throw on some old clothes to bring out your inner Picasso through art projects and more… Some projects may involve paint. For ages 3-5. Thursday, February 9 at 3:30 p.m. – Drawing Theory — Do you enjoy Drawing and Sketching? Learn how to draw your favorite animations and more. For ages 12 and under. Friday, February 10 at 3:30 p.m. – Library Lovers Project — It’s Library Lovers Month! Stop in and create a card or bookmark for someone special. Friday, February 10 at 3:30 p.m. – Teen Game Day — Show off your competitive side with your friends! From board games to video games, there will be plenty of fun! Are you up for the challenge? Saturday, February 11 at 1 p.m. — Tam Madingue Djembe Academy Chicago — Join us for a free, hour long instructional session. Djembe, dunun drums, and hand percussion instruments will be provided. Sunday, February 12 at 2 p.m. – Valentine’s Day Make and Take — Surprise that special someone with a gift made with love. For ages 12 and under. The Friends of the Park Forest Library enhance and support the operations of the library. In order for the Friends to operate, we need you involved. You can sign up for membership by asking at the Patron Services or Info Zone desk. For additional information, call 708-748-3731. PSC’s 29th Annual Jazz Fest, featuring some of the nation’s top jazz musicians, will be held at 7:30 p.m., Friday, February 17, in the Barnes & Noble College Auditorium in the Conference Center of the PSC main campus in Chicago Heights. Featured musicians include trumpeter Orbert Davis, drummer Ernie Adams, bassist Larry Gray, saxophonist Ed Petersen and percussionist Rubén P. Alvarez and PSC’s Professor of Music Valerie Nicholson on piano. In addition, there will be special guest appearances by percussionist Rubén P. Alvarez and select young musicians. Those who attend the evening concert also are invited to join the Jazz Fest musicians for a VIP reception hosted by the PSC Foundation before the event at 6 p.m. Entertainment will be provided by the PSC Student Jazz Ensemble. The ticket package for the concert and reception is $25 per person. For more information, email [email protected] or call (708) 709-3631. Ticket prices for the concert only are $15 for general admission. Students and senior citizens tickets are $10 each. All tickets are available in advance in the PSC Business Office Monday through Friday from 8 a.m. to 4:30 p.m. Tickets also can be purchased at the door on the evening of the concert. The Friday performance is part of the annual two-day festival hosted by PSC, which also includes instrumental clinics led by the featured artists. The clinics are for local junior high and high school jazz ensembles. It is an opportunity for students to receive instruction in technique and performance from the jazz masters. Select students from the instrumental clinics also will be invited to perform with the guest artists during the Friday evening performance. For more information on the Jazz Festival, or to purchase tickets to the concert, call 708-709-3500. 1917 was the birth of many jazz masters, and the birth of a new era of sound. Ella Fitzgerald, “Dizzy” Gillespie, Lena Horn, Thelonious Monk, and so many more forever changed the musical landscape with their soulful, improvisational styles. Today, nearly 100 years later, their groundbreaking vocals and instrumentals continue to shape the experience of artists and fans alike. It would take an event of monumental proportion to adequately represent the vast influence of these centennial masters. So, in spring 2017, a new group in Chicago’s Southland is rising to the challenge. S.A.M.B.A. will present the Chicago Southland’s ‘Let Them Eat Jazz’ Festival as their inaugural project-bringing together over 15 organizations, 9 venues, 5 hotels, and multiple restaurants in a 72-day festival of jazz and food. The festival will kicked off with the 29th Annual Prairie State College Jazz Festival on February 17, and will close at Governors State University’s Center for Performing Arts with the Orbert Davis’ Chicago Jazz Philharmonic on April 29, 2017. The 70+ days in between will showcase events, all celebrating 100 years of jazz in unique ways, through visual arts, sculpture, choral and instrumental ensembles, themed jazz dinners, brunches, and more. S.A.M.B.A. is partnering with area hotels to accommodate out-of-town guests or locals who wish to plan a weekend stay-cation. Festival attendees will receive discounted rates at select hotels by using the Password EATJAZZ. For a complete schedule of events, hotel booking and area information, visit www.CSJazzFestival.org. South Suburban College (SSC), 15800 South State Street, South Holland. SSC welcomes Chicago Author, Songwriter, Street Poet and Spoken Word Artist Bwana “Jus Words” Phillips. Transitioning from being a member of the “Four Corner Hustler” organization to a unique writer, Jus Words took his interest of the gangs and streets and combined his writing skills to create lyrical storylines. Most of his story lines focus on the rugged realities of the blocks in Englewood and Roseland Communities. This is one presentation you will not want to miss! Retired SSC History Professor Art Burton will share with you some unknown facts about African American History that you should know but probably never heard of. You will be entertained, educated and fascinated as he gives you exciting true facts about the Africa American experience beginning with Mother Africa (the cradle of civilization) to our present. Mr. Burton is the author of three award-winning books and is a highly regarded African American history consultant and lecturer. Edgar’s Place Coffeehouse proudly presents Michael Smith on Saturday, February 11 at the UUCC in Park Forest. Doors will open at 7 p.m. with the performance beginning at 7:30 p.m. One of the most captivating songwriters in the folk arena, celebrated musician Michael Peter Smith has toured the US and Canada for nearly five decades. He creates new work on a constant basis, and music’s finest performers record his songs. His song, The Dutchman, is considered a classic. Wherever he is… touring concert venues, clubs, theaters, folk festivals at house concerts, or teaching song writing workshops, in powerful songs, award winning musical scores, and unforgettable recordings… Musical mastery is in whatever Michael does. Please check out his website at michaelsmithmusic.com if you’d like to learn more about Michael. Admission is $15. As a reminder: Edgar’s Place is a first come, first serve, cash only venue with no assigned seats. This is an alcohol free venue. Complementary snacks, coffee and tea will be served and cans of soda and home baked goodies will be on sale. For additional information, call UUCC at 708- 481-5339 or visit www.uuccpf.org. When can the speaker be interrupted, or can they? What type of Vote is required, a majority, or 2/3? The cost of the seminar is $39. Please use Course Code: CSC-E92-730. To register call, 708-596-2000, ext. 2231. For more information about all of SSC’s programs, admissions and registration, please visit www.ssc.edu or contact the Admissions Office at 708-210-5718. The first is a very special STAR award that will be presented to an outstanding South Suburban College (Thornton Junior College) alumna. This award recognizes the achievements of a South Suburban College female graduate (whether from the past or recent) for her achievements in her profession/career, volunteerism or other outstanding life achievement. Through recognition of her accomplishments, we hope to motivate current and future women to also graduate and achieve! Last year the winner of this award was Joan Dorman, R.N., M.S. The second award will recognize women who have demonstrated outstanding leadership in business, community and/or education. These women are leaders in promoting and supporting health and wellness or personal and professional development. In the nominator’s eyes, the “STAR” is a role model because she is achieving her goals and through her inspiring actions has profoundly motivated others to do the same. We need your nominations on or before Friday, February 10. The link for the form is http://thechicagowomensconference.org/star-awards/. Feel free to share the link and deadline with others. Please submit your nomination through the website. If you have any questions, contact Nancy Burrows at [email protected]. Receive updates and gain understanding on issues related to EEO, ADA and FMLA. Obtain critical guidance on how to create effective policies and procedures. Learn essential components of handbooks, job descriptions and employee evaluation systems. The cost of the workshop with continental breakfast is $45 per person or $40 per person if 3 or more from the same company attend. Reservations are required by 4:00 p.m. on Tuesday, February 14. To register, please call 708-596-2000, ext. 3254 or email [email protected]. The SSC Baseball Program and Head Coach Steve Ruzich will be conducting Adult-Child Baseball Camps February 10, 11, 17, 18 and 19 for boys and girls ages 6 thru 14. The camps will feature sessions for pitching, catching, hitting and fielding while providing adults and children the opportunity to improve their knowledge of baseball skills and techniques. Kids will be given expert instruction and time to practice and improve their skills through a variety of station drills. Adults will be taught how to use effective teaching methods, provide instruction using proper skill techniques, and utilize effective drills. The campers will work together, have fun, and develop talents in a wholesome, supportive environment. Ruzich has coached the SSC Baseball Program for the past 30 years with a winning record of 1069-640. Not only has he enjoyed success as a college coach and player, he has also established himself as a reputable youth baseball camp director around the state. In addition to Ruzich’s instruction, SSC baseball players will be on hand to help the campers develop and improve their skills. The players’ enthusiasm and expertise always adds to the camp’s success. The cost is $45 for one adult and one child per camp, and $40 per camp if enrolled in more than one. The cost is $30 for each additional child. Checks should be made payable to South Suburban College Baseball. The camps are located at Bulldog Field on SSC’s Main Campus in South Holland. For more information or to register, contact Coach Ruzich at 708-225-5843, or email [email protected]. SSC is planning their Annual Women’s Conference and is seeking interested vendors who would like to promote their business. The conference is for women of all ages and is designed to help women discover how they may enhance, explore, and enrich their lives both personally and professionally. Over 200 women participated at last year’s conference and their positive responses rated the Women’s Conference a huge success. The 2017 Chicago Women’s conference will be Friday March 17, 2017. We are currently accepting applications for exhibitors for this year’s conference. To request an application please email [email protected] or contact Gervaise Edwards at 708-596-2000, ext. 6032.